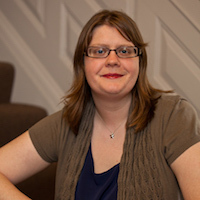 As an internationally known Developer Relations strategist and Community Management expert, Leslie has spent the past decade creating, cultivating, and enabling open source communities. She’s best known for creating Google Code-in, the world’s first global initiative to involve pre-university students in open source software development, and receiving an O’Reilly Open Source Award in 2010 for her work to grow the Google Summer of Code program and her contributions to Humanitarian open source projects. She is currently a Senior Principal Program Manager at Red Hat, focusing on the CentOS project ecosystem. Every Developer Relations/Experience/Marketing team needs to ensure that its activities and spend are in alignment with company goals with clear success metrics. Sponsoring events, and especially events around open source, are no exception especially when the sponsorship costs are so high (not to mention team time and travel costs). Leslie and Laura will discuss how to design clear strategies around open source and how to prioritize events sponsorship based on your product, business model, and short and long term goals. They will talk candidly from their experiences about which events have had (for them and their use cases) lowest and highest ROI, successes, and other positive outcomes. DevXcon and DevRelCon are a global series of events, created by Hoopy, to provide a forum for developer relations and developer experience professionals to share with other practitioners. Beginning in London in 2015, there are now also editions in San Francisco, Tokyo and China. DevXcon 2017 photo by Jeremy Francis. Website Design by David Hughes. ©2018 Hoopy Limited, registered in England and Wales no. 08995232. DevXcon is a trademark of Hoopy Limited.